We are looking for qualified teachers and youth workers to join our project from December onwards. We are the the largest voluntary run education service for children and youth stuck on Chios Island, Greece. At the most basic level, we fulfil a fundamental right of children - to access education. In Chios, children are continually denied access to the formal education system run by the Greek Government and there are no immediate plans to integrate the children arriving into Europe into the local education system. We have seen just how successful our programme is and want to continue it until the Government establishes a formal procedure for educating the children and youth here. The following requirements are for teachers in our school but if you are looking to join as a youth centre worker, you do not necessarily need a teaching qualification. Experience working with youth in either a youth centre, summer camps or sport programmes. Can commit to at least 5 weeks volunteering in Greece. We provide shared accommodation on the Island. 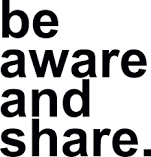 Refugee Education Chios is founded and managed by the NGO “be aware and share” (BAAS). We are a non-profit organisation from Switzerland established in September 2015 with the original aim to provide and distribute clothing and food for refugees travelling on the so called “Balkan Route”. After a series of short term humanitarian relief operations, we decided to set up a long term crisis response project on the island of Chios, Greece. Over a three month period we ensured food security, distributed clothing and provided emergency support on the shores of Chios Island. After it became impossible for refugees to pass the borders in Europe, in May 2016 we adapted our working strategies to the new situation and established Refugee Education Chios. From starting with one school with two classrooms, we have successfully, over the last eight months, built the largest education system for refugee children on Chios Island, with two non-formal schools and a youth centre. In a constant environment of stress, uncertainty and boredom, we have responded to the need for structured and meaningful daily routines that take children out of the horrid conditions of the camps and attempt to establish a sense of normality. If you share our vision of enabling more and more children to have access to education, we encourage you to support the Refugee School Chios with funding as well as school material and equipment. Every small contribution counts, because every single lesson taught to every single child counts.